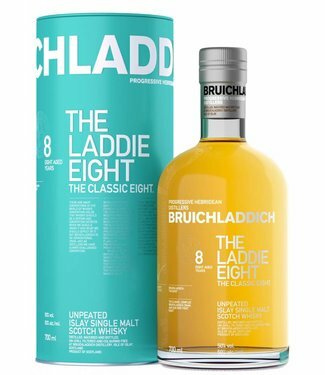 Cadenhead Small Batch Bruichladdich 25 Years Old Bottled For..
Bruichladdich Distillery was built in 1881 by the Harvey Brothers. 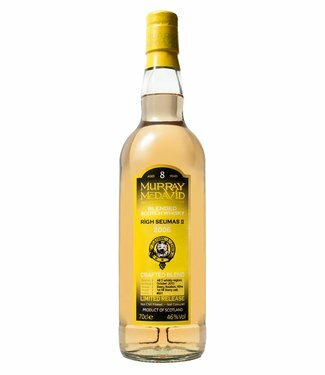 The Harveys were a dynastic whisky family with over a centuyry of distillery ownership. Including Glasgow's Yoker en Dundas Hill Distilleries. The three brothes decided to combine their expertise to build a third Harvey Distiller: Robert (23) designed it, John (31) had the distilling experience, and William (32) had the money! The catalyst was the invention of the Glasgow Puffer, a flat-bottomed, steam boat that revolutionised bulk commodity shipments around the wild seas of the west coast. Barley could now be imported to supplement the island’s limiting acres. And coal, a vastly more efficient fuel than peat to run stills. Both commodities transformed the economics of distilling. 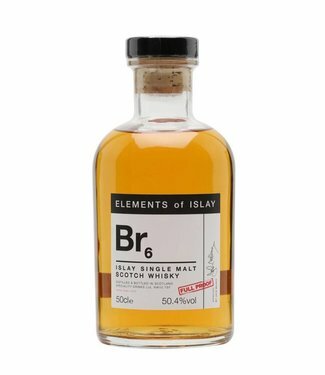 Inspired by youthful enthusiasm, whisky heritage and entrepreneurial flair the brothers set about creating a revolutionary new type of distillery. 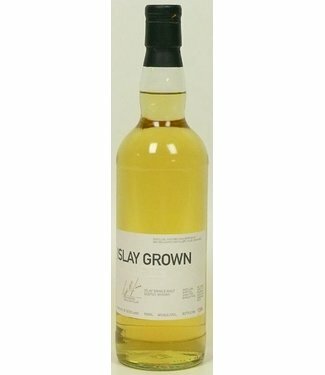 Until then, Islay’s distilleries had evolved from small farms, where talented clandestine distillers replaced their cattle in their byres with stills. 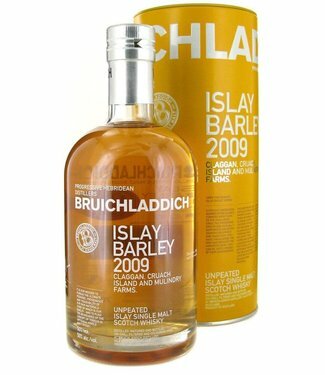 Bruichladdich was to be the very antithesis of an Islay farm distillery. This was to be a cathedral-like still house that (unlike their croft and farm equivalents elsewhere) enveloped 6m tall stills designed to produce the purest spirit possible. Using concrete, a newly-patented building material, this was a modern, purpose-built distillery, ergonomically laid out around a central courtyard for efficiency, and on a gentle slope to exploit gravity – a state-of-the-art Victorian distillery. 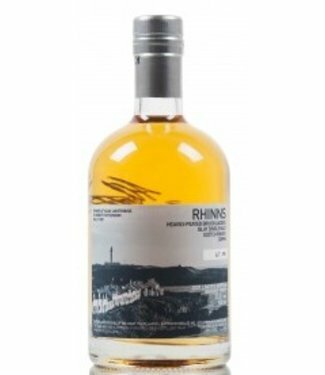 Robert’s inspirational design was built to an exceptionally high standard: “a solid, handsome structure”; beautiful in its simplicity, with “all parts of the distillery rated in correct proportion to each other”. Several of the Harveys' progressive innovations were later taken on by the rest of the industry. The testament to their vision is that today the distillery is exactly the same as Robert designed it, and with most of the original machinery still in use. Broad, saddle-leather belts drive the arcane Boby mill*, elevators and barley weighing machines with their hypnotic musical rhythm. The glorious open-top mash tun (mash is believed to be a corruption of maceration) is the biggest of the three still in use in Scotland. 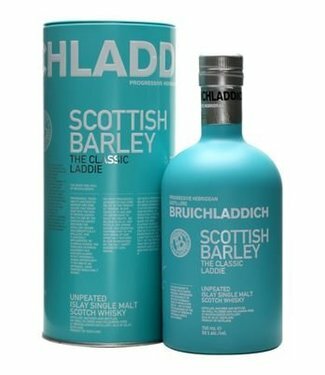 Like a giant porridge, barley mixes with soft Islay water in a devil’s cauldron. Unlike much of today’s industrialised whisky processes, this is a slower, more gentle way of extracting sugars from the grist. 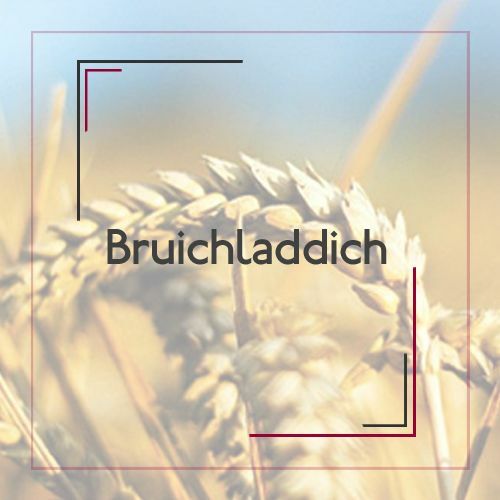 It takes time to mash at Bruichladdich the original way; there is no short cut. Fermentation, too, is slow. The original huge vessels (washbacks) made of towering Douglas Fir are the ultimate in the cooper’s art. As the great winemakers discovered, for ultimate purity, wooden vats are best: wood absorbs heat generated during the alcohol creation, allowing a longer, slower, more gentle fermentation than steel. Many of the whisky's complex flavours are created in these old wooden vats, so we take our time to get it right. The French have a culinary saying: “it is in the oldest pots that the best soup is made”. We tend to agree.